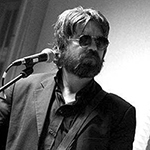 Tony ‘Tosh’ Flood (born 17th March 1970) is a multi-instrumentalist, mainly known for being the lead guitarist of The Duckworth Lewis Method and Pugwash. Although he is more than just a simple guitarist, Tosh also plays many kind of keyboards and arranges harmonies. Thomas Walsh described him as a “worthy song writer of any ilk” and “a super talented kind of visionary” . Before that, Tosh has played in numerous bands since being a teenager. In the 80’s he played with The Fifth Dimension/Norma Paige/Men Of God alongside Joe Fitzgerald & Vincent Duffy. They were nominated to play the Carling/Hot Press Band of ’90 competition in Cork. In 1993, with Ken O’Duffy (of The Experiment, and late line-up of Light A Big Fire / The Believers), Vincent, Tosh and Joe formed Nijinsky, which soon rename themselves into Saville in 1995. One of their first demos, Re-live That Darndale Moment, was voted ‘demo tape of the year 1994’ by Hot Press. After some international performances, many media coverage, and two self-released EP, the band released their first album Is Anybody Happier Today? (BDB Record) in May 2000. This followed by two other albums: Somnambular Ballads (Reekus Records, October 2003) and Nostalgia (Reekus Records, August 2008). Meanwhile, Tosh also wrote and recorded with ex-Engine Alley front man Canice Kenealy under the name of The Sound We Make; and with Joe Fitzgerald for Shaun McGee’s Dynamo Hymn. 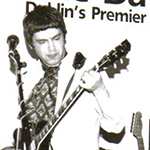 After Saville shared the stage with The Frames and Pugwash at festival in Waterford in 2000, Tosh became involved with Thomas Walsh’s band playing guitar on stage in 2003/2004 and contributing to the recording of their Jollity album. He subsequently joined the band again in March 2008 after the release of Eleven Modern Antiquities. In 2009, Tosh contributed to recording sessions of Duncan Maitland (Lullabies For The 21st Century 2010), as well as Neil Hannon and Thomas Walsh’s Duckworth Lewis Method first album. When the band started playing live, he was asked to join them as a third member. After that experience, Tosh contributed to the recording of The Divine Comedy’s Bang Goes The Knighthood (2010). Tosh has also contributed to other artists including Paul Bohan (For Now & Ever, 1969 Records, 2010) and Matt Berry (video edit of ‘So Low’, 2011; Kill The Wolf, 2013). In 2010, Tosh, Joe Fitzgerald and Shaun McGee formed with Thomas Walsh his new Pugwash line-up. Together they recorded the album The Olympus Sound (2011). In February 2013, the four ‘Pugs’ played with Neil Hannon as his backing band for his performance at Other Voices Derry. Tosh is also a massive fan of The Small Faces, and worked as a project assistant on the 2012 remasters of their back catalogue, as well as the forthcoming box set. In 2015, Tosh and Ken O’Duffy (now living on London) reunite for Ken’s new project The Citizens. They record the album Songs of Absolution in Dublin with the help of Vin Duffy and Joe Fitzgerald. During the recording, are used some gears (such as vocal microphone) loaned by Neil Hannon to Tosh. In 2016, after the promotion of Pugwash album Play This Intimately (As If Among Friends), Tosh was asked to join The Divine Comedy. Which he did, joining the band on tour after finishing touring the US with Pugwash. In 2017 Tosh get married and moved with his partner from Ireland to Scotland. In 2018, Tosh has contributed as a guest-performer for Ian Watson’s London Accordion Orchestra for a movie soundtrack concert featuring most of The Divine Comedy as a backing band.